Be a super reader and find your hero in a book this summer! Everett Public Library has launched the 2015 Summer Reading Program, offering kids and teens a way to have fun and be ready for school come fall. Studies have shown that students who don’t read in the summer come back to school with a lower reading level. If children read just twenty minutes a day, they will return to school at the same reading level. Our program has children reading thirty minutes each day so that they will return to school even better readers! Pick up a reading log at either the Main Library (2702 Hoyt Avenue) or the Evergreen Branch (9512 Evergreen Way) from June 1 – July 31, 2015. Start your reading on the first day of summer vacation. The library has special reading programs for pre-readers, readers and teens in which children can read or be read to, in order to earn a free book and other fun prizes. The Read with Me program is for children not yet able to read on their own. After earning prizes, children and teens may continue reading and earning stickers to their heart’s content. Additional reading sheets are available for these readers, but not prizes. 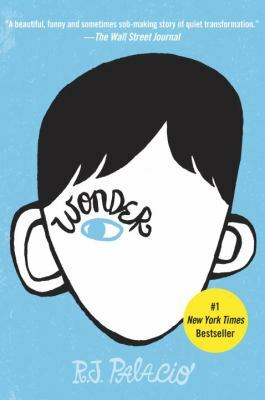 We will have lots of copies of Wonder by Palacio (and other fantastic reads) available for all of the Everett School District students who are required to read it this summer. Plan on participating in the fantastic array of programs planned for children and teens this summer: Paws to Read, Crafternoons, Storytimes and so much more! A big THANK YOU to our main sponsor, Home Street Bank! If you have any questions about the 2015 Summer Reading Program, please call the Youth Services Department at 425-257-8030 for more information. This entry was posted in Children's Books, Summer Reading Program, Young Adult and tagged reading, summer reading by Leslie. Bookmark the permalink.